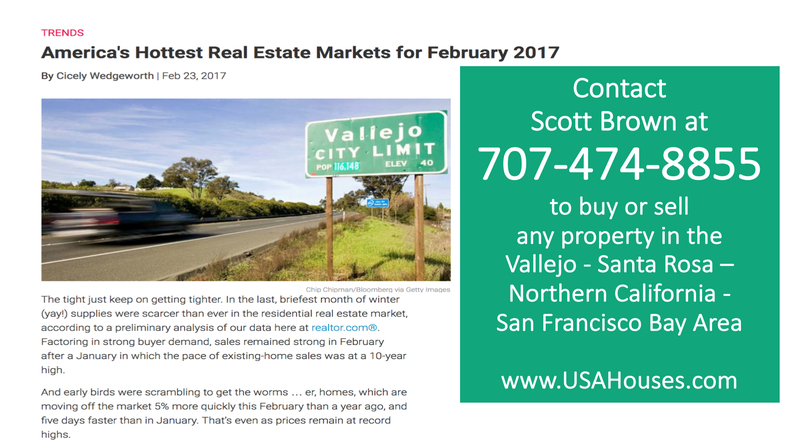 It’s February 2017 and once again VALLEJO CALIFORNIA is the #1 Hottest Real Estate Market in the USA! Once again the Vallejo California area (with Fairfield right next to it) is at the nation’s top spot. There are several factors are affecting this such as low inventory, relatively low prices compared to neighboring areas like San Francisco, Napa, Sonoma, San Jose, etc. of Northern California in the SF Bay Area and as Realtor.com says the median days on market. Homes are selling fast, over the listing prices and getting multiple offers. Buyers are often times forced to agree to higher earnest money deposit funds, shorter (or no) contingency periods such as inspections, investigations, appraisals or loans, if possible, in order to beat out other offers. Timing is a key factor in today’s hot market so if you’re really serious about purchasing your home, you better be either proving that you’ve got the cash to do it, proving that you’re pre-approved, and ready to move fast with a fair or even excellent offer that is sometimes way over what the sellers are asking. I know it doesn’t make sense to many and it’s hard to trust, but I’ve put in 19 offers for one client (most of which were great offers over asking) due to other offers higher and/or better than theirs. This is especially true in the lower priced homes, such as those in the $250,000-$450,000 price range. Other homes in the higher price ranges typically take more time to sell for various reasons. In the luxury real estate market, most tend to sit one the market because there are fewer people able to purchase in those price ranges, depending upon the area. In San Francisco they are still selling pretty fast, but in the Vallejo – Fairfield area there are a lot more homes in the lower price ranges. The luxury markets of Solano County are spread out and there are some nice places in Vallejo (like Hiddenbrooke and a few others) but one of the best is in Fairfield, in a gated community called Eastridge, in Green Valley. There are a couple of builders that have done some of the custom luxury homes there and one has just sold pretty much all of their homes and are just about ready to sell their final one along with their model home. They were typically ranging from 3000-6000 square feet, offering little in the way of landscaping, pools, etc. Other homes built in the last 10-15 years in the area offer more mature landscaping and some have pools, hot tubs, pool houses, basketball courts, etc already. 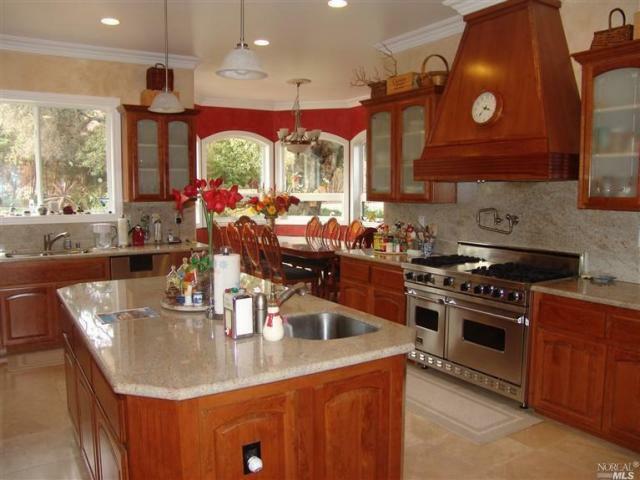 One of my featured listings in the SF Bay Area is 5240 Sunridge Drive, Fairfield, CA 94534. 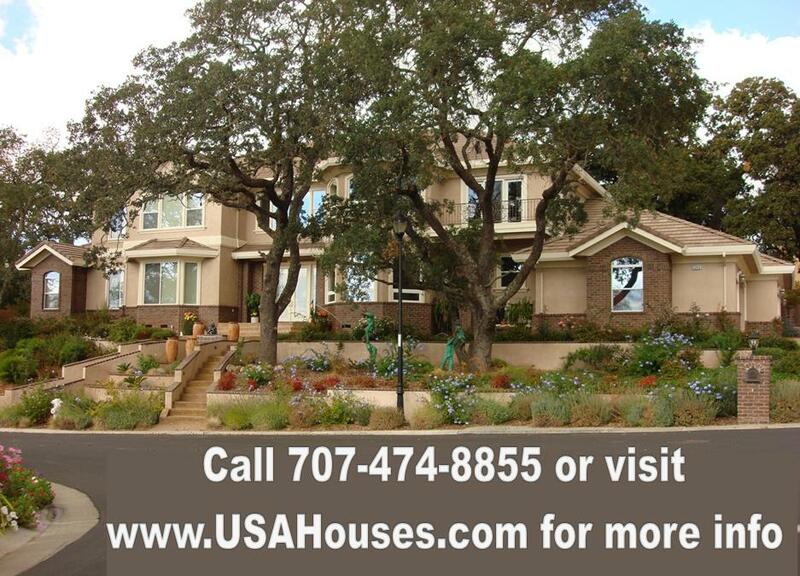 Here is some more info about it and this highly desired area of Northern California. Fairfield is just east of Vallejo, and is often included in the hottest market with Vallejo (Vallejo-Fairfield-Suisun City). The Gourmet Kitchen has a walk in pantry, professional Viking dual oven with gas stove and a pot filler plus an awesome hood vent. It even has food warming trays on the kitchen island, and two sinks to make cooking, prepping and cleaning much simpler. There are granite slab counters & many ame nities like a dishwasher, garbage disposal, breakfast area, built in fridge, microwave, and a really nice breakfast area overlooking the backyard, in addition to the formal dining room and climate controlled wine room nearby. From the breakfast area and kitchen you can easily see the Basketball court, tetherball pole and garden area. Rockville Hills Regional Park has over 600 beautiful acres of grasslands and oak woodlands, with a dense mixed broadleaf forest. Part of the park actually goes through the Eastridge community so residents are able to easily access it and enjoy the rich, biological and diverse habitats which provide shelter to a variety of wildlife that make the park their home. Green Valley has a nice mix homes, condos, land, commercial properties, stores, wineries (just 30 minutes or less to Wine Country), etc, all spread out appropriately. This is in Fairfield California, close to great schools, shopping, entertainment and major freeways. Some of the nearby cities we cover and also nearby cities and areas are: Vallejo, San Francisco, Sacramento, Fairfield, Dixon, Davis, Napa, American Canyon, Danville, Suisun City, Concord, Santa Rosa, Vacaville, Benicia, Hiddenbrooke, Glen Cove, Vallejo Heights, Martinez, Richmond, Oakland, Walnut Creek, Novato, Petaluma, Rohnert Park, Sonoma, Pleasant Hill, Pleasanton, Berkeley, San Jose, Palo Alto, Sunnyvale, Alameda, San Leandro, Hayward, Union City, Livermore, Milipitas, San Mateo, San Rafael, Santa Clara, Mountain View, Cupertino, Menlo Park, Millbrae, Daly City, Elk Grove, Fremont, Lake Tahoe, Castro Valley, San Ramon, Alamo, Clayton, Blackhawk, Sausalito, Belvedere, Tiburon, San Pablo, El Sobrante, Pinole, Hercules, Crockett, Mill Valley, Fairfax, Ignacio, Corte Madera, Green Valley, Yountville, Saint Helena, Rutherford, Glen Ellen, Lake Berryessa, Yosemite, Travis Air Force Base, Mare Island Navy Base (closed), Rio Vista, Stockton, Modesto, Pittsburg, Antioch, Brentwood, Oakley, Emeryville, Piedmont, Orinda, Moraga, Lafayette, Alamo, Whispering Pines, Hobergs, Adams, Loch Lomond, Harbin Springs, Middletown, Hidden Valley Lake, Castle Rock Springs, Aetna Springs, Glenview, Lower Lake, Siegler Springs, Howard Springs, Geyersville, Simi, Clearlake, Healdsburg, Calistoga, Asti, Cloverdale, Preston, Windsor, Roseland, Ukiah, Woodland, and a bit further away but still within a day’s drive to other great places like Las Vegas, Santa Cruz, Los Angeles, San Diego, Reno, Roseville and more. Since it’s such an awesome property in so great of a location, Call now to get more information, set up a showing or to put in your offer. All of this is in a safe, peaceful area on a Huge 2/3 acre lot. This is a Must See, especially if you love entertaining. If you are looking to buy or sell any property in the San Francisco-Vallejo-Santa Rosa-Bay Area, contact me at 707-474-8855 or message me here to let me know. Vallejo California tops America’s 20 Hottest Real Estate Markets for June and July 2016. As far as luxury real estate around the world goes, San Francisco, California is ranked the 5th hottest (Auckland New Zealand leads that global list). While slowing down slightly, the luxury market in San Francisco is still one of the strongest in the world, with a median home price of around $1.1 million. Interestingly enough, 115 San Juan Avenue in San Francisco is currently listed by Scott Brown of eXp Realty for a cool $1.1 million as well. 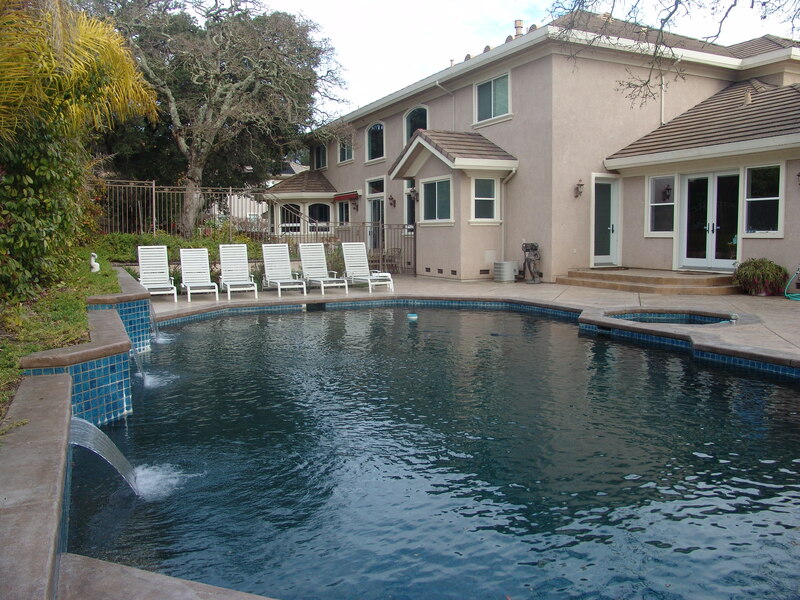 It’s located in the wonderful neighborhood of Mission Terrace, close to Balboa Park, City College and much more. A booming tech economy has been attributed to creating this huge demand of homes, where listings are still scarce. Vallejo is just 30 miles NorthEast of San Francisco, and was the first capital city of California. San Francisco switched from the number 1 spot in May with the #2 hottest real estate market in the USA, Vallejo. Vallejo held the #1 spot for at least 2 months now, according to Realtor.com’s articles. Vallejo almost doubled in many of its lower home price ranges for values over the past 3 years, and they’re still only approximately at the 80% mark for previous peaks. Vallejo is the largest city in Solano County, California, United States. The population was 115,942 at the 2010 census. It is the tenth most populous city in the San Francisco Bay Area, and is located on the northeastern shore of San Pablo Bay. Vallejo is named for General Mariano Guadalupe Vallejo, a native Californio, leading proponent of California’s statehood, and one of the first members of the California State Senate; the neighboring city of Benicia is named for his wife, Francisca Benicia Carillo de Vallejo. Ferry service runs from a terminal on Mare Island Strait to San Francisco, through the BayLink division of SolTrans. Vallejo has twice served as the capital of the state of California: once in 1852 and again in 1853, both periods being brief. The State Capitol building burned to the ground in the 1880s and the Vallejo Fire Department requested aid from the Fire Department at Mare Island Naval Shipyard. As there were no bridges at that time, the Mare Island Fire Department had to be ferried across the Napa River, arriving to find only the foundation remaining. This was the first recorded mutual aid response in the state of California. Scott Brown’s branch office location of EXP Realty is located in Vallejo on Sonoma Blvd at the corner of Reo Alley. EXP Realty is now in most US states and also in Canada. For the local brach of Scott Brown, we’ve got a main branch office in downtown Vallejo California with others throughout the Bay Area. For the Scott Brown Team, the areas we cover and also nearby cities and areas include at least: Vallejo, San Francisco, Sacramento, Fairfield, Dixon, Davis, Napa, American Canyon, Danville, Suisun City, Concord, Santa Rosa, Vacaville, Benicia, Hiddenbrooke, Glen Cove, Vallejo Heights, Martinez, Richmond, Oakland, Walnut Creek, Novato, Petaluma, Rohnert Park, Sonoma, Pleasant Hill, Pleasanton, Berkeley, San Jose, Palo Alto, Sunnyvale, Alameda, San Leandro, Hayward, Union City, Livermore, Milipitas, San Mateo, San Rafael, Santa Clara, Mountain View, Cupertino, Menlo Park, Millbrae, Daly City, Elk Grove, Fremont, Lake Tahoe, Castro Valley, San Ramon, Alamo, Clayton, Blackhawk, Sausalito, Belvedere, Tiburon, San Pablo, El Sobrante, Pinole, Hercules, Crockett, Mill Valley, Fairfax, Ignacio, Corte Madera, Green Valley, Yountville, Saint Helena, Rutherford, Glen Ellen, Lake Berryessa, Yosemite, Travis Air Force Base, Mare Island Navy Base (closed), Rio Vista, Stockton, Modesto, Pittsburg, Antioch, Brentwood, Oakley, Emeryville, Piedmont, Orinda, Moraga, Lafayette, Alamo, Whispering Pines, Hobergs, Adams, Loch Lomond, Harbin Springs, Middletown, Hidden Valley Lake, Castle Rock Springs, Aetna Springs, Glenview, Lower Lake, Siegler Springs, Howard Springs, Geyersville, Simi, Clearlake, Healdsburg, Calistoga, Asti, Cloverdale, Preston, Windsor, Roseland, Ukiah, Woodland, and a bit further away but still within a days drive to other great places like Las Vegas, Santa Cruz, Los Angeles, San Diego, Reno, Roseville and more. Call us if you are in these areas or any other and we’ll be happy to help you or connect you with the right person who will. If you’re interested in working with EXP Realty then you should check out http://scottbrown.exprealty.careers/ and contact us today. I’m Scott Brown, Realtor & Real Estate Broker who owned my own company, but now am part owner of eXp Realty as all agents/brokers/stockholders are. I was formerly known by Scott Brown Realty and then also my dba American Platinum Realty, but in May 2016 I decided to align myself with eXp because it is a company that shares my same vision, passion and values but has a much more advanced leveraging system and platform than I had on my own. If you’d like to know more about that, please feel free to ask me about it and I’d be happy to tell you more! If you know of a Realtor that doesn’t currently have an incredible retirement plan in place along with top notch tools, support and compensation, please have them connect with me as well and they’d most certainly thank you for letting them know about this incredible ground floor opportunity. To learn more about EXP Realty you can go to http://www.scottbrown.exprealty.careers and/or click on the own your own career link. If you are personally or if you ever hear of any of your friends or family moving anywhere in the USA, whether buying or selling Real Estate, please contact me. It costs you or them nothing to talk with me, and most of the time my advice saves them thousands of dollars, and all of us can benefit from my education, experience and wisdom. As I have been involved with several Real Estate Markets in the US as an investor and as a Realtor, and am an actively licensed Texas Real Estate Broker. I have a vast network of resources and associates with whom I am able to connect them with. God has given me this plan and I hope to be able to build this business up in such a way that causes people to save money and to give to the work of God’s kingdom, including missionaries and ministries more through it. Scott Brown grew up in the Bay Area of Northern California and was a General Contractor and also helped many friends and family purchasing Real Estate, as well as investing in it himself. Around 2005, he moved to Dallas Texas and began selling Real Estate there, assisting many clients all over the entire Dallas Fort Worth Metroplex. In 2009 after seeing some challenges in the housing market, Scott went on to get his BA degree, and earned his MBA in 2012 and then enrolled in a Doctor of Business Administration degree. As he grew up in Northern California, he decided to move back there and is expanding his brokerage into California as well as Texas. Scott Brown Realty has a vast network of associates we work with throughout Northern California, as well as Texas and many other areas. If you or anyone you know is buying, selling or leasing, please contact Scott. We can assist you with processing your first step and helping you decide whether you should attempt to sell your home yourself or to help you find the best fit for you. Thank you! We specialize in residential sales & purchases, but also deal with commercial, investment, and rental property needs. We deal with all Real Estate, including Luxury Properties, New Homes, HUD homes, Foreclosures, Pre-Foreclosures, Regular Homes, Custom Homes, Condos, Land, Commercial Properties, & Multiplexes/Apartments. We are here for you. If you are purchasing, selling or leasing a home, condo or any other property, you’re in the right place. We believe it is wise to make sure you speak with a professional, active, licensed Real Estate Broker who can provide you with solid counsel before making a decision as important as a Real Estate transaction. 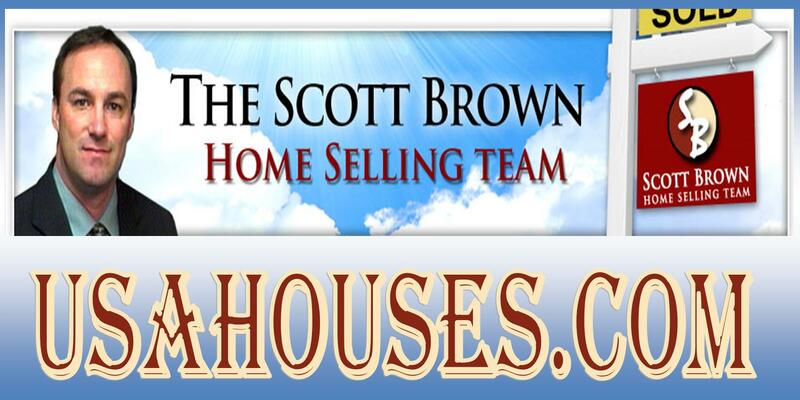 Please give The Scott Brown Home Selling Team a call today and find out why you should not deal directly with the listing agent to purchase a home or if you are a seller, call today for a free consultation and to go over all of your options and to make sure you get top dollar for your investment. Scott Brown Realty is an independent real estate brokerage, committed to providing outstanding service and value to buyers and sellers. We are known for developing quality working relationships with our clientele; relationships based on respect, integrity, and trust. World’s Best Realty is proud to have developed beneficial relationships with other Real Estate Brokers, Real Estate Agents, Lenders, Inspectors, Contractors, and a wide range of housing professionals. We pride ourselves on building a solid foundation for your home to rest upon. Whether you are purchasing, selling, or both, we ensure that you have the support you need to make to make sound decisions and receive the best deal possible. We go the extra mile for you! We would like to assist you with any of your Residential or Commercial Real Estate needs, be it in sales, purchases or leasing. Our associates and I handle all aspects of Real Estate. This includes: Homes, New Homes, Custom Homes, Condos, Multifamily Properties, Investments, Apartments, Land and Rentals. We handle our business with integrity, honesty, and diligence. We will treat you fairly, with professional respect and will genuinely seek to ensure you have all of your Real Estate needs met to benefit you first and foremost. We at World’s Best Realty take an approach that is built on personal touches and positive results. We are able to assist you anywhere in the United States, or in the world through our extensive network. 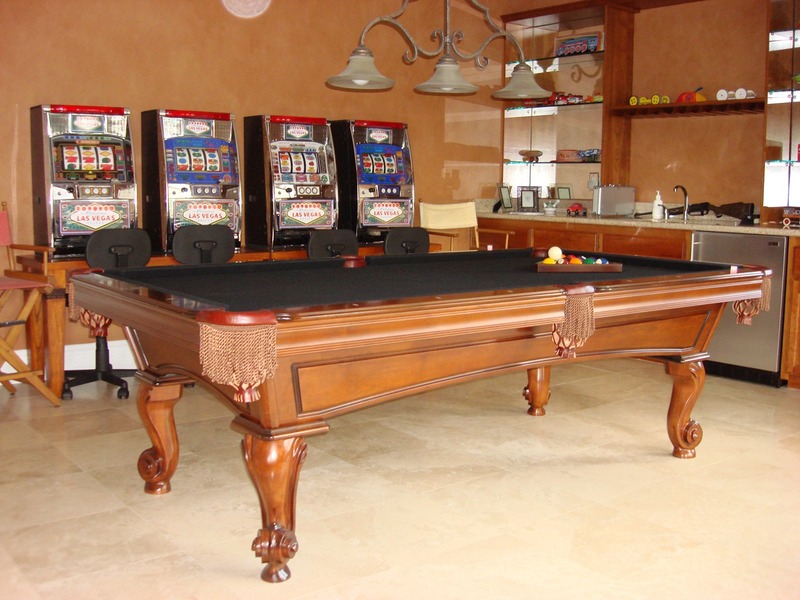 To meet your needs and expectations, we will listen to you very carefully. In this way we will find solutions that are tailored to you. To do this we will utilize the latest technologies, market research and business strategies. We work with most Local, National and many International Realty companies including: Keller Williams, Prudential, Ebby Halliday, Exit Realty, Realty Executives, William Davis Realtors, Excite Realty, Coldwell Banker, Century 21, Remax, GMAC, Allie Beth Allman, Virginia Cook, etc… We also work with a major list of New Home Builders and Custom Home Builders. We would appreciate the opportunity to work for you and be your Real Estate Representatives. We list our properties on the MLS (Multiple Listing Service), which feeds the listings into Realtor.com and many other websites (which may include Trulia.com, Zillow.com, facebook.com, Craigslist.org etc.) Please consider us first when you want to sell your home, or are purchasing a home anywhere! The agents at World’s Best Realty take the time to listen to your needs and dreams. We work tirelessly to facilitate your goals without compromise and are committed to treating every client as if they are our #1 priority. Whether you are buying, selling, or simply considering a move, we will be happy to speak with you. We are not claiming we are the best (although we may be the best), but rather we will assist you in finding the best realty for you! The Intelligent Choice for your first call in Real Estate!